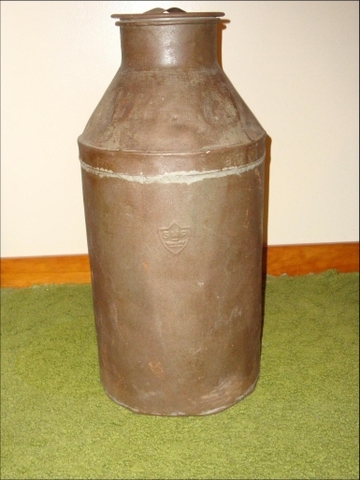 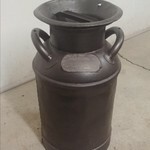 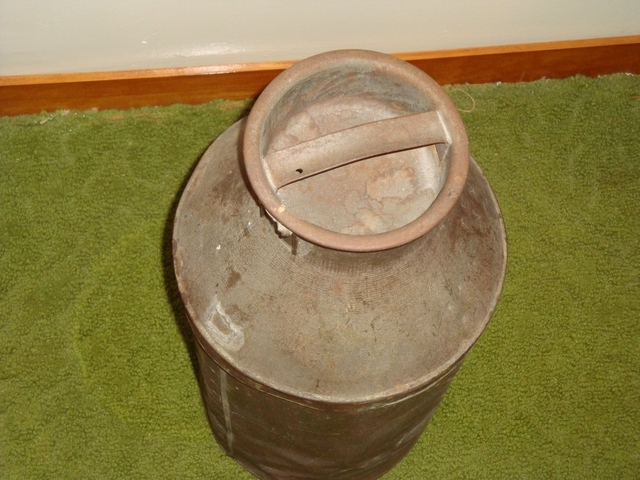 Vintage milk can with lid. 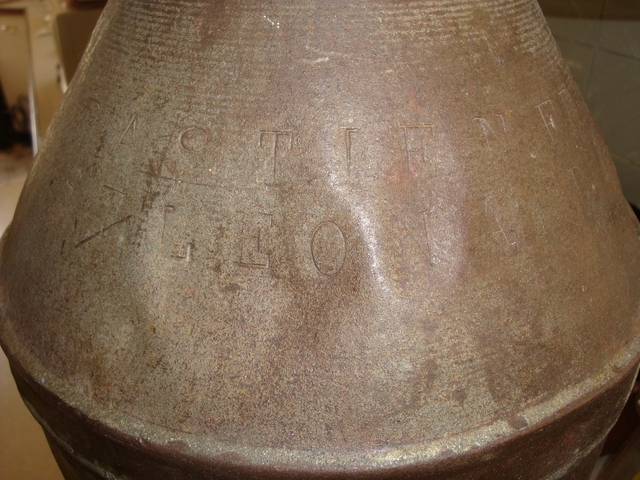 The stamped letters show it to be from the Bastien et Frère Dairy (1924 - 1965) in St. Leonard, Quebec. 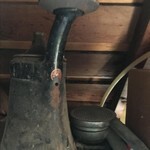 Has been kept inside, so has little rust. 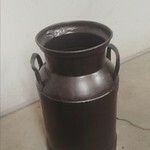 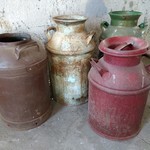 Here is the URL to the web page about the dairy. 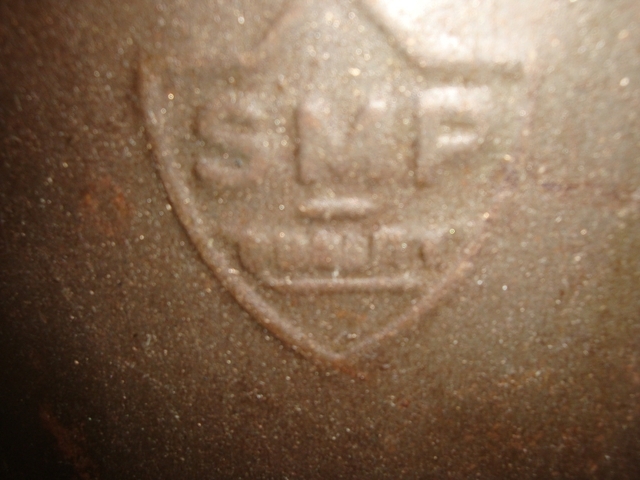 The stamp on the can is for the original name of the city Saint-Léonard de Port Maurice.